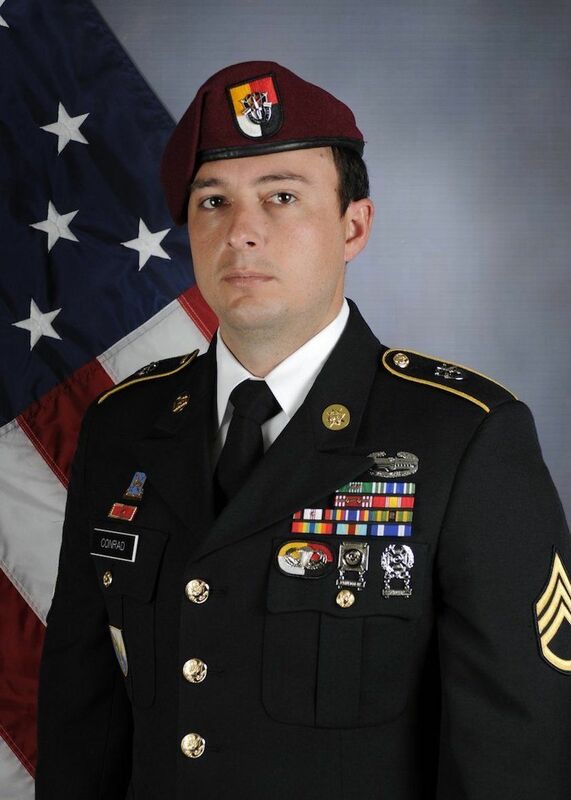 Conrad, assigned to the 1st Battalion, 3rd Special Forces Group out of Fort Bragg, North Carolina, was killed by indirect enemy fire on June 8th when U.S. service members deployed alongside some 800 Somali and Kenyan troops southwest of Mogadishu came under small arms and mortar fire. The attack came one week after the Pentagon killed 27 Al-Shabab fighters in a lone airstrike in northwest Somalia in what officials characterized to Task & Purpose as the deadliest single U.S. airstrike in the country to date. Conrad belonged to the same Green Beret unit that lost four service members during the October 2017 ambush in Niger, after which U.S. Africa Command chief Marine Gen. Thomas Waldhauser pledged "increased the firepower ... increased ISR intelligence, surveillance and reconnaissance] capacity ... [and] increased various response times."